István Gönczi, János and László had been born into a family of restaurateurs and have studied and worked abroad for years, in London, Paris, Berlin and at the Italian and French Riviera. After World War I, all three of them returned abroad to work to obtain capital. 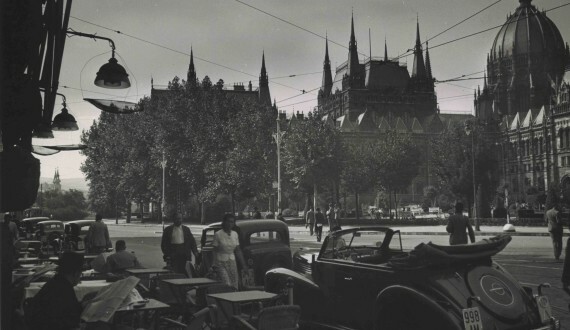 They returned home in 1924 and opened the Mignon Cafe on the Danube shore, on the boardwalk. One worked as a waiter, the other as a barista, and the third as a dishwasher. As they did not get a liquor license, they sold the up-and-coming business but remained as waiters. A few years later, they founded the two significant cafes of Kossuth Lajos tér: the Monico and and the Élysée. 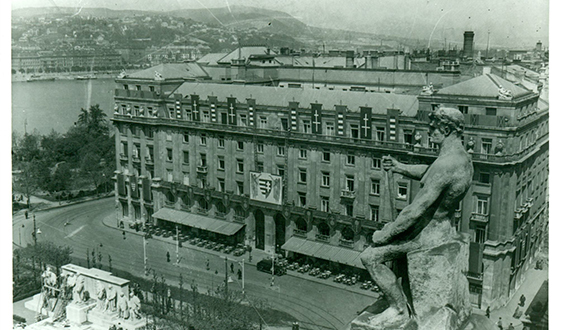 The imposing MÁK palace, sealing the northern edge of Kossuth tér, had been built in 1928. Large store locations were positioned on the ground floor of the building designed by Béla Málnai and Gyula Haász. 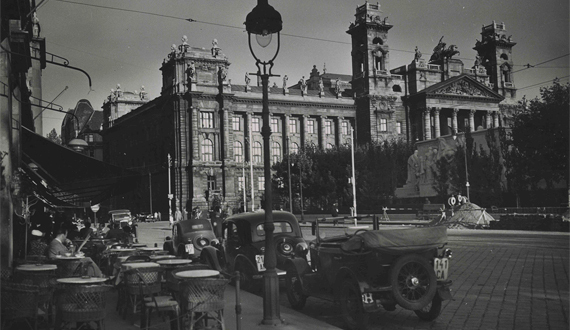 One of these had been rented by János Gönczi and opened a café in it under the name Monico. 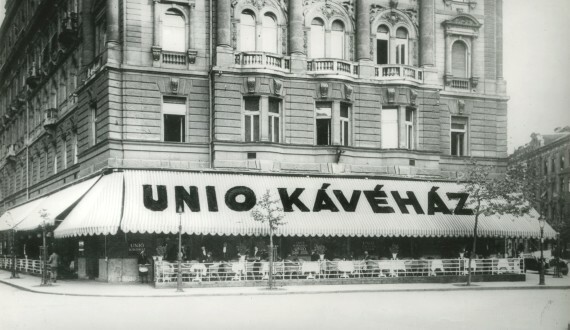 Others also took note of the opportunity and soon, two other cafés had opened on the opposite end of the nearly “dead” Kossuth tér from a hospitality perspective: the Országház (Kossuth tér 10., the building of which was finished by 1928) and Unio, completed in 1932. 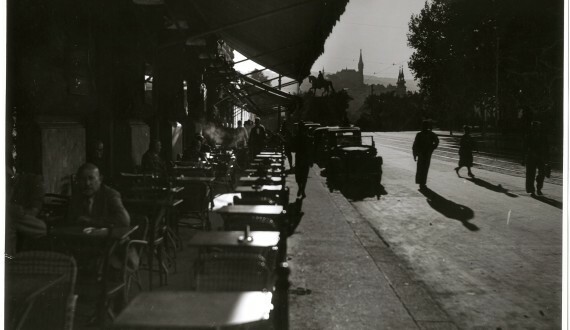 Monico’s twin, Élysée, opened just a few months earlier, in December of 1931. The last in line was the short-lived Biarritz in 1938. The cooperation between the owners of Monico, the first café that had operated in this building, in the MÁK palace – between the two Gönczi brothers – was not always without its negatives. For a while, István and his brother János managed Monico together – until they had had such an altercation that it has even gone to court. Soon they realised that the legal fees were so large that they were jeopardizing the survival of their business, so they made peace instead, but they had to take out a loan as the substantial loss had also been inflicted upon the café. In spite of the foregoing, the profession considered the three brothers as “one of the most renowned and fortunate triumvirates”. 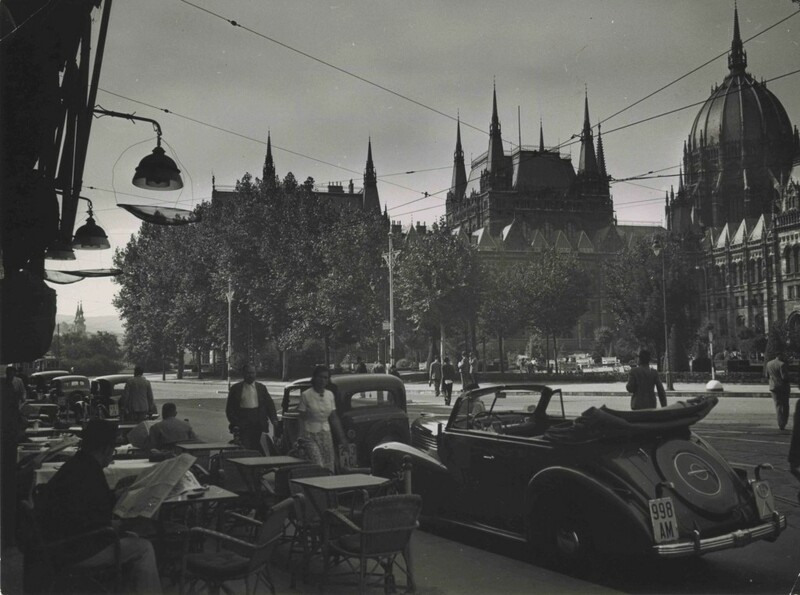 In 1931 László left their first business, Mignon on the Danube shore, and decided to stand on his own two feet as well, taking over the other corner room on the ground floor of the MÁK palace with the support of his brothers and lots of loans, and open an elegant musical-dancing café as a counterpart to Monico, under the Elysée name. The business operates in a corporation format, with one member in addition to Gönczi and his wife. Just three months after its foundation, László Gönczi is forced to look for new partners. The owners of the Sanus Milk Plant, the three Fried brothers, Géza, László and Sándor, take over Elysée; Gönczi remains in a manager capacity − and as a competitor of his own brothers. The new owners emerged from the troubles with new ideas. Brand new, modern equipment was installed at the business, designed by the world renowned industrial artist, Lajos Kozma. It was around this time that among the bourgeoisie, bridge has begun to make spectacular inroads, which – like all other card games – has been a popular card game in cafés. Players received an elegant, dedicated room at Élysée. The residents of the elegant neighbourhood were decimated by the war. A portion of the large Jewish population fled abroad, many were taken away. Until it was possible, the cafés on the square continued to operate, even providing music and shows. In the meantime, the owners of Élysée, the Fried brothers have changed their names to Gordon, a Hungarian name, but this was not enough, either to feel safe; at the very least, they had to exit the business, at least seemingly. Two trustworthy friends seemingly purchased the café and then once the situation settled, have returned it to the original owners. 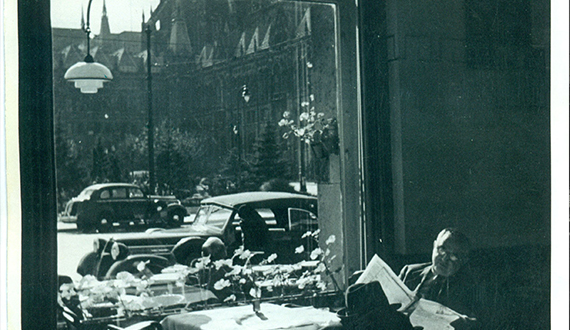 After the war and the Communist takeover every café on the square had been nationalised, some of them discontinued operations and some others changed function. Élysée closed down, the neighbouring Monico primarily served tourist groups under the name Szófia. In 1967 it was rebuilt on the basis of the plans of interior architect Béla Szörényi. After several decades, Élysée returns to Kossuth Square to write history again.